Who Else Wants To Join Thousands of Men and Women From All 4 Corners of The World Who Have "Burned The Fat"... Melting Away Up To 137, 162, 194, 218 Pounds... And Completely Transforming Their Bodies... Permanently, Safely And Naturally? Tens of thousands of men and women in 152 countries worldwide have experienced the most astonishing body transformations by using the powerful and proven principles of Tom Venuto's BURN THE FAT, FEED THE MUSCLE (BFFM) system. Maybe you've read the e-book and you're already one of them, or maybe this is the first time you've ever heard of Burn The Fat or Tom Venuto. Either way, you've just found the "missing element" - the one thing most people ignore or forget - that can give you back control of your health and your life, restore your self-confidence and natural energy, transform your body shape and help you lose all the weight you want - and KEEP IT OFF - in a safe, natural and healthy way. IT'S RARE that someone says, "We live in a reciprocal universe of cause and effect, where you can only get back what you put in, so be prepared to put in a lot of hard work... and smart work"
Most "gurus" tell you, "it's easy"... "it's not your fault"... and... "I have the magic cure." For more than two decades, Tom has been preaching "PERSISTENCE", "HARD WORK" and "RESPONSIBILTY" and he's been delivering effective, science-based health fitness solutions that work. And What's This NEW "Inner Circle" All About? 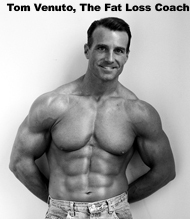 Tom is an accomplished STEROID-FREE bodybuilder who has competed 28 times. His titles include the Mr. Natural New Jersey, Natural Pennsylvania, Natural New York State, Natural Mid Atlantic States and NPC Natural Eastern Classic championships - all fully drug-tested. As you can see by looking at his pictures, he absolutely walks the talk and sets the example for all his followers. I cannot stress enough the importance of having a coach and role model who knows what it takes to get in shape NATURALLY. Surely if you watch the news, you can appreciate this when you hear about all the DRUG SCANDALS in the Olympics, baseball and other professional sports today. Turns out, many of our "heroes" were "on the juice!" 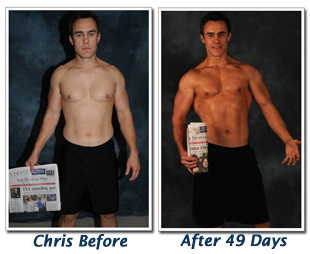 But maybe you didn't know about the magazine models and before and after "transformations" who got their artificial bodies from gulping fistfuls of steroids, diuretics, hormones and other fat burning drugs, and then had the bald-faced audacity to claim it was some miracle supplement that got them their six pack abs! Meanwhile, the supplement companies were paying them for their fraudulent endorsements. Phonies! But in the end, the truth has been EXPOSED. The liars and cheaters got BUSTED! Today, only a few natural stars are left shining through. Tom is one of those few - the last of a dying breed: principled, ethical and dedicated to helping other people. For the 20+ years Tom has been coaching and competing, he's had the integrity to stay CLEAN and encourage others to do the same through all his writing in his newsletters, websites and books. Tom's Burn The Fat, Feed The Muscle e-book has been a best seller on the Internet since 2002! His hard cover book, The Body Fat Solution hit #1 on Amazon.com days after its release, and shot to "national besteller" in just months. He has been featured in IRONMAN magazine, Natural Bodybuilding & Fitness magazine, Men's Exercise magazine, Men's Fitness Magazine, First For Women Magazine, Oprah Magazine, The Huffington Post, The New York Times and even The Wall Street Journal. He's been interviewed on over two dozen radio shows including WCBS New York, ESPN-1250, Martha Stewart's Healthy Living (Sirius Radio) and BlogTalk Radio. Although Tom is a world renowned expert, in demand by the fitness magazines and national media, he's actually a very private, somewhat shy person who doesn't care much about being in the spotlight - he cares only about the people who trust him for health and fitness advice. This is no hype either - Tom is rarely seen at the "silicone, steroids and synthol" pro bodybuilding shows or fitness industry expos, where supplement salesmen prowl, because he never fit in with the overly greedy, immoral attitudes perverting the marketplace today. A prominent writer who noticed this once called Tom an "outlaw bodybuilder" - a tag that stuck for quite a while. Achieve optimal health at the same time; reduce your blood pressure and cholesterol, lower your disease risk, improve bone density and manage your blood sugar. How do we know this? Because our Burn The Fat Inner Circle members told us! "I lost 75 pounds of body fat, and gained about 7 pounds of lean body mass. I’ve lost 12 inches off of my waist and went from a size 22 to a 6. And I’ve probably delivered about 50 bags of clothes to Goodwill. My health has improved dramatically, I’m saving a ton on doctor bills and prescriptions and I'm not in pain all the time. The first time my son saw me run, he was he was shocked. Now we just have so much fun together, all the time. He’s really proud of me. I’ve always been the lone ranger and tried to do things by myself. But that has not been successful in the past. By having the Inner Circle, it provides the added encouragement to build your self-confidence. Everyone seems to have the willpower to start, but to sustain is where it gets difficult. If you start having a low point or you start doubting yourself, it's through the Inner Circle that you can be lifted back up. Is Scott some kind of superman? Is Audrey any different than you? Nope. If you played the short audio clips, you heard it in their own words - they are just like you - spouse, kids, job, housework and a long struggle with weight gain... which they overcame with the right mental attitude, the right information and a lot of hard work. If they can do it, so can you... The Only question is, How Bad Do You Want It? It doesn't matter if you've failed before, or if you've fallen for fad diets, or if you've made poor choices in the past - who hasn't? It's never too late to change the direction of your life, and there's no situation or condition that cannot be improved, transformed and transcended. It doesn't matter if you are 100 pounds or more overweight; our members have lost up to 218 pounds and we even have a 100 lbs club support forum to help you if you have a lot of weight to lose. It' doesn't matter if you are over 40, or even over 60! We have members in their 50's, 60's and 70's and they've achieved remarkable health and physical condition - and they'll even show you how they did it! It doesn't matter if you're totally out of shape, heck, everyone is in the beginning. You could be so out of shape you gasp for air walking up one flight of steps... it just doesn't matter, we have members that have gone from couch potatoes to marathon runners. It doesn't matter if you don't have a drop of motivation in your body; whether you just can't seem to get started or have trouble sticking with it... either way, it's not a problem because we teach you the psychology of how to get motivated and stay motivated, the support here is incomparable and our "Burn the Fat Challenge" contests are the most motivating fitness events on Earth! I'm really excited about this, so I've gotten a bit ahead of myself. Let me back track for a moment. 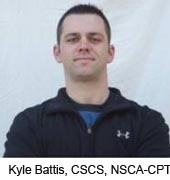 My name is Kyle Battis, Tom Venuto's partner, and manager of the Burn The Fat Inner Circle - so yes, I AM biased. But I believe in this, because I've been behind the scenes working with Tom on this website for more than three years, so I've seen the dramatic difference this has made in thousands of people's lives. I've also been in the fitness business a LONG time, so I've seen a lot of gimmicks come and go - especially on the Internet. That's why I'm so excited to tell you about this amazing membership opportunity where you can get trustworthy, legitimate information and belong to an incredible, inspiring group of people - we call them "fitness achievers" because they're not just setting fitness goals, they're achieving them! But what we're offering is not for everyone. We're not looking for just anyone to join our member ranks... we're looking for a committed group of men and women - the top 5% - the fitness achievers who have already made the decision to change and are determined to become the most fit, lean, healthy, energetic and successful in the world. We're looking for people who are READY: People who have tried the diets, tried the pills, tried the exercise gimmicks and are now fed up with the short cuts that let you down time after time and finally realize that you're ready to make a permanent life change. The Privileges and Benefits You'll Enjoy When You Become a Member of This Special Support Community, Master Mind group and Educational Resource Center... The Burn The Fat Inner Circle! Direct Access To Tom Venuto, author of Burn The Fat, Feed The Muscle & The Body Fat Solution - Anyone who has read Tom's books or is familiar with the high caliber and integrity of his work who doesn't take advantage of this almost too-good-to-be-true opportunity to get personal coaching from him directly, is certifiably crazy! There is only ONE forum on the Internet where you can directly "ask Tom anything" - the Burn The Fat Inner Circle. Community - Create a member profile, share photos, add friends, find a training/accountability partner or join the discussion in our well-managed forums, which buzz with activity every day. Post your progress reports and photos if you want accountability from your fellow “Burners." Many psychologists and coaches believe that accountability and community social support are the most POWERFUL motivational forces in the world. Burn The Fat Q & A Knowledgebase and Article Library - Browse the Inner Circle’s huge data base of question and answer columns for information about training, nutrition, motivation and every other topic related to getting leaner, healthier and more muscular. An amazing wealth of knowledge. Best part: if your question is not already in the archives, you can just ask Tom and the Inner Circle experts right on the discussion forums! MP3 and streaming audio interviews and podcasts - Download members-only podcasts and interviews with Tom Venuto and other fitness experts that you can load into your MP3 player or burn to CD. Listen while you drive or exercise or stream the audio right from your computer... then apply what you learn and watch your motivation and results skyrocket. Nutrition Calculators - Amazing, push-button calorie calculators, not available anywhere else online (because they were custom-built for us by tech-whiz programmers), will take out the guesswork and show you exactly how much to eat for burning fat, maintaining your weight or gaining muscle. Other calculators at your fingertips 24-7 include body fat, macronutrients, ideal water intake, target bodyweight, cooking conversions and calories burned. Delicious Fat-Burning Recipes - Forget about deprivation and bland rabbit-food diets. Try our delicious, original recipes, all created and taste-tested by Tom himself. Fast to make for busy time-strapped lifestyles and no previous cooking experience is required (Tom is a self-confessed former "kitchen dummy"). Who knew that eating clean and lean could taste so GOOD? Mind and Motivation Secrets - It's not the physical training, but the MENTAL training that's the key to long-term behavior change, and it's really very simple, once you know the secret. You will learn the skills to stick with any diet or exercise program, almost effortlessly, by re-programming the deepest recesses of your subconscious mind, where your self-image and your automatic, habitual behaviors are hidden! Science and Research Reviews - No other fitness expert on the planet puts this much work, analysis and pure time-intensive study into the search for important breakthroughs from universities and laboratories across the world, which - if you apply them - could catapult your results. Tom sifts through more research studies every month than most people will see in a lifetime. His dedication to double-checking every recommendation through the gauntlet of critical thinking and a stringent verification process ensures that you're given accurate, up-to-date and complete information. Inspirational Fitness and Weight Loss Success Story Interviews - In these inspiring audio MP3 and written interviews, you'll get to know some of our most successful members on a personal level. As you listen, you'll hear Inner Circle members reveal exactly how they lost 50, 71, 137, even 218 pounds of fat, despite challenges such as injury or illness and despite busy day to day lives with family, work and daily stresses. These are NOT just testimonials - these fascinating case studies are like success blueprints. Impartial Science-Based Supplement Reviews - Tom Venuto's advertisement-free Inner Circle is untainted by the vested interests of supplement company endorsement contracts or affiliate programs. What's more, Tom's unique system of delivering specific recommendations protects you from paying too much, being taken by crooked companies that pitch worthless, un-researched snake oil or getting hurt by dangerous products that might be toxic to your liver, heart or even your brain. If you take any supplements at all, this information could save you a fortune. If you have hidden health problems, this advice could save your life. FREE ENTRY in the Burn The Fat Challenge Contest! Win a Trip to Maui! - With your membership at the Burn the Fat Inner Circle, you're automatically registered** to enter all our motivational body transformation contests - FREE! We sponsor TWO contests every year. Our Burn the Fat holiday (winter) challenge takes place over all three major holidays: Thanksgiving (US), Christmas and New Year's. Those 49 days fly by fast, as your body transforms right before your eyes... at a time of the year when most people are actually gaining weight! The summer challenge is even more spectacular! It opens in late May every year, and runs across the entire summer - it's twice as long - 98 days - which is why we've nicknamed it "THE BIG BURN!" Enter the challenge, transform your body, and you could win great prizes like ipads, ipods, kindles or even the grand prize: An all-expenses paid trip for two to Maui! and Won a Trip To Maui! You Also Get Instant Access To More Than 20 Members-Only Burn The Fat Discussion Forums Where Thousands Of Men And Women Get Together To "Master-Mind", Share Ideas, Learn, Motivate And Grow! There's a whole different "vibe" and different class of people inside a private, members-only forum. The energy is 100% positive and supportive. It's nothing like you will ever find on public forums. Fighting Female Flab Over 40: If you think "over 50" means "over the hill," then you've never met Maxine Johnson. Maxine took up the fitness lifestyle in her mid 30's, was in the best shape of her life at 40, competed in her first fitness competition at 53 and was winning fitness and figure contests at 56. If you're female and would like to know how you can develop a fat-free, fit and fabulous bod after age 40 or 50, after having children, while holding down a job and managing life crises and stresses of all kinds, then you need to read every word of this exclusive interview. The Best Natural Ways to Increase Your Testosterone: Bodybuilders have known for years that testosterone builds muscle and burns stubborn fat. You don't have to resort to steroids to boost your male hormone levels. In this exciting special report, Men’s Health magazine columnist Christian Finn draws on the latest findings from over 70 cutting edge research studies. Inside, you'll discover how to quickly boost your testosterone levels by making small changes to what you eat and how you exercise. Extreme and Controversial Fat Loss Techniques. Cardio on an empty stomach. Not eating at night. Ketogenic diets. Very high protein. Low calorie rapid fat loss diets. High volume cardio. No food after cardio. These are just a handful of the controversial rapid fat loss techniques that are analyzed for risks versus benefits in this revealing 27 page report. See 14 extreme fat loss critiqued on the 3 point risk to benefit scale and find out (a) if these methods work at all and (b) if they work, are they also too risky for you? The "Super Lean" Seminar. In this revealing live seminar transcript, Tom will teach you the "Secret Weapon" strategies to reach hyper-low body fat, achieve the Ripped Abs look and even get photo shoot or competition lean. You'll learn cutting-edge fat-burning nutrition tactics as well as mental focus and motivation techniques, including why the last 10 pounds is so hard to lose (and what to do about it), how to break any fat loss plateau, and how to harness the power of positive and negative motivation, plus much more. It's Like a Gold Mine of Health and Fitness Widsom! All the e-books and e-reports in the Inner Circle library are yours for instant download so you can put this treasury of knowledge to use and start getting more results today. SOCIAL SUPPORT - When you're about to collapse in a moment of temptation or blow off your workout, a support partner could be the ONE THING to keep you strong and nudge you back on track. Lets face it, doing it alone - just you and your willpower - is a NIGHTMARE! The missing element that makes everything stick is PEOPLE. But not just anyone, because so many people are sabateurs. When you get help from uplifting people and soak up their positive energy - WHAM! - your diet, training, and even the way you handle stress, all get easier. Does YOUR CIRCLE of Friends Lift You UP or Drag You DOWN? Your circle of friends and co-workers has a massive impact on your attitude, your energy and how you spend your time (and therefore, a massive impact on your body and your health). How many pessimists, sabateurs, complainers, critics and energy vampires are you surrounded by every day? "It'll never work!" "Have another beer! ... "One piece of cake won't hurt," "Life's too short to be in the gym all the time; come on, live a little!" Sound familiar? I'm not saying you should dump your current set of friends and associates, but you MUST analyze the effect other people are having on you. You've GOT TO get around more positive people to counter-balance any negativity in your life. Hanging out with malicious people who undermine your efforts is like committing slow suicide. A recent study in the New England Journal of Medicine said that being FAT IS "SOCIALLY CONTAGIOUS!" Fortunately, being fit and healthy is also "contagious" and the Inner Circle is a place where you can literally PLUG INTO a daily charge of positive energy. It's not only a wealth of knowledge and information from fitness experts, it's a community of POSITIVE, health-minded people just like you. Many of our long-time members have already transformed their bodies and are now "paying it forward" as mentors and shining inspirations to others. They have been in your shoes. They understand what you're going through. With support, you can weather the tough times and resist temptations. "I Achieved The Body I've Always Wanted! I'm Now 128.8 lbs At 17.7% Body Fat!" "Initially, I thought “49 days? That's not much time... what can you really accomplish in only 7 weeks?” Then I started to think about it. You can accomplish a LOT in 7 weeks. 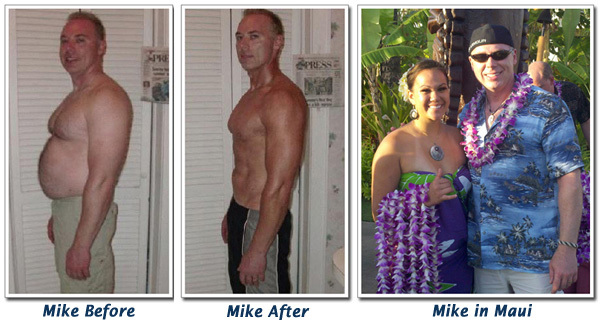 "I Put On 3.7 Lbs of Muscle... My Bodyfat Dropped From 19% to 10%. I've Never Felt This Good About My Body." "One afternoon, I was getting ready to take the kids to the pool, I looked at myself in the mirror and it hit me like a ton of bricks. I was one of those “skinny fat people” that Tom talked about in his ebook. I was a 42 year-old skinny-fat guy with a muffin top hanging over my swimming trunks. I opened up the ebook again and read it cover to cover, and when I received my email invitation to the Burn the Fat holiday challenge I jumped in with both feet. I listed my goals, created a plan and submitted my pictures. It is amazing how motivated you become once you have a plan. I lost 16.6 pounds of fat. I gained 3.7 pounds of muscle. I've made changes I never thought were possible. I could not have achieved these results without the help of my team at the Inner Circle - they were always there for me and kept me motivated throughout the challenge. We’re so excited about going to Maui! I don’t think my kids and my wife have been this excited in a long time. Thank you Tom!" Most people blow $200 a month or more so called fat-burners. Tom refuses to endorse or sell "magic pills" and the Inner Circle is supplement advertisment-free. This alone could save you thousands of dollars. To get Tom to coach you personally would cost $995 for his cheapest coaching program - if he were even available. Tom's hourly rate starts at $250.00. For an online community loaded with so much to offer, you'd expect to pay at least $29.95 per month (X 12 months = $359 annually). To hire a personal trainer or nutritionist would cost you $70 - $80 or more - PER HOUR. But to join the Burn The Fat Inner Circle and get access to Tom and world-class fitness and nutrition advice, you won't pay anywhere near that amount. You won't blow a couple grand or more a year on supplements. You won't pay $995.00. You won't pay $250 an hour. As part of our charter membership phase, we are still offering discounted membership rates... All you pay is $97 - for an entire year of membership privileges! Our members will attest that this is an amazing value, especially since the ebooks and MP3 programs in the download library (not to mention the personal access to TOM) are worth more by themselves than what we're charging for unlimited access to EVERYTHING in the site. "Tom Venuto is a credible, qualified professional who knows his stuff. More than that, he has a genuine concern for the people he's helping. His Inner Circle is a premier quality resource - well worth the money, and a benefit to anyone, anywhere of any age who is trying to lose weight. I highly recommend it!" "Every day there's a new fitness "guru" popping up on the Internet trying to tell you the 'secrets that nobody else will tell you.' There's thousands of fitness blogs, newsletters and websites. Anybody can post a slew of myths and they're instantly taken as facts as much as a credible website. But the consumer, unless educated, can't tell the difference. It's just one more reason that I'm a proud Burn The Fat Inner Circle member. I get the facts correct the first time. Thanks go to Tom for turning down the volume on all the noise lately and giving us a space to learn about facts and science in a pollution-free environment." Since we started offering these new membership plans and we launched our new affiliate program and publicity campaign, there's been a virtual stampede of new members rushing in to take advantage of the low charter prices. As enrollment swells and the Inner Circle expands with new services and features, our rates WILL be going up, so we cannot guarantee these prices will be available in the future. However, if you join now during our charter membership phase, then as long as you stay a member of the Inner Circle, you'll benefit from something called "the grandfather clause." This means that after the charter membership phase is over, our membership rates will be going up and all new members will have to pay the new, higher membership fees. But as a charter member, if you renew before your membership expires, you get to keep your low charter rates - FOR LIFE - as long as you remain a current member in good standing. Even if the content library and list of services in the Inner Circle double or triple every month, even if our operating expenses go up, even if there's inflation, and even if the prices for new members double a year or two from now, you will still get to keep your charter rate! Now that's a bargain... Charter Membership is a once In a Lifetime "ground-floor" opportunity. We guarantee you will be satisfied with the benefits of membership. We guarantee you will see measurable changes in your body - you will lose fat, shrink your waistline, gain muscle in all the right places and totally change your body shape. But that's not all. We promise you that participating in this community will give you benefits BEYOND THE PHYSICAL - and help change your mental attitude, transform you emotionally, replace your old self image with a new one and boost your self-confidence in every area of your life. We promise you that you will learn how to set and achieve fitness goals, like thousands of our members have already done, and those goal-setting skills will transfer to every area of your life. You will not just become a fitness success story, you will become a successful person. Preview the site for up to 8 weeks on our no-risk trial. 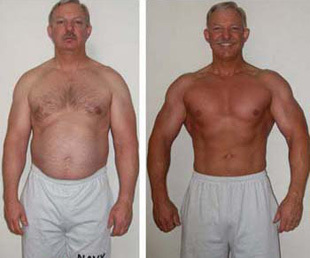 If you haven't achieved the goals you wanted for your body and seen positive changes in the rest of your life with the information Tom and the Inner Circle faculty and community shares with you, then simply e-mail us from the contact form on this website, and we will refund every penny you invested into your membership tuition, no questions asked. Tom and I have done our part to build this membership community from scratch. It took over three years of preparation, and effort, working day and nite, and $46,000 to pay programmers and engineers to build and update the site - it's an incredible online resource, a buzzing community for meeting supportive friends and an unbelievably exciting membership package. 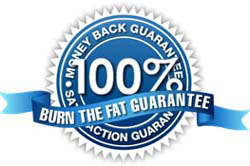 Tens of thousands of people in more than 152 countries have reaped the rewards of the Burn the Fat system. Now it's your turn to grab hold of the wheel, take control of your body and steer it where you want it to go. It's time to start surging ahead, bursting through plateaus, shattering old comfort zones, breaking personal records and achieving consistent results, workout after workout, day after day! Don't wait any longer, grab your charter membership, and get yourself on the sure path to a healthier, leaner body, and a life with more freedom, more friends, more happiness and more success. Kyle and Tom: Yes! I've had enough of slow results and stagnation. I want it bad, I want it now and I'm ready to do what it takes to start seeing a dramatic change in my body, my health and my entire life! YES, I know I have an 8-Week, 100% Money Back Guarantee. If I'm not completely satisfied I can request a full refund, and have my entire investment returned and I will have essentially gotten two months of membership for FREE. PS. Remember, you have a full 8 weeks to explore, use and enjoy all the membership privileges to the max; there's absolutely NO RISK on your part by at least trying the Inner Circle to see the revolutionary change it could make in your life, so don't let this opportunity slip by you - grab your spot before the remaining charter memberships are all snapped up. IMPORTANT NOTE! 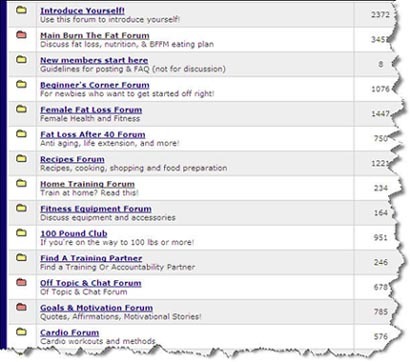 : Burn The Fat Inner Circle is a private membership website that you access online with a user name and password. No physical products will be shipped. You get instant access to the website, 100% online. ** Some restrictions may apply for Burn the Fat Challenge Contest entry for 1st time new customers. Fitness contests with prizes must be legal in your country, province, county, state, and or city.